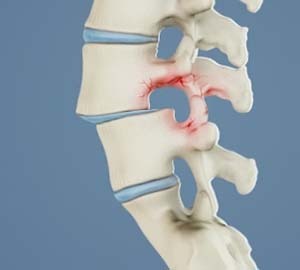 Dysplastic spondylolisthesis: This subtype is a congenital condition, present at birth, and is caused because of abnormal bone formation of the facet part of the vertebra resulting in spondylolisthesis. Isthmic spondylolisthesis: This type of spondylolisthesis occurs because of a defect in the pars interarticularis part of the vertebra. This is more common in athletes and gymnasts as they often suffer from overuse injuries.